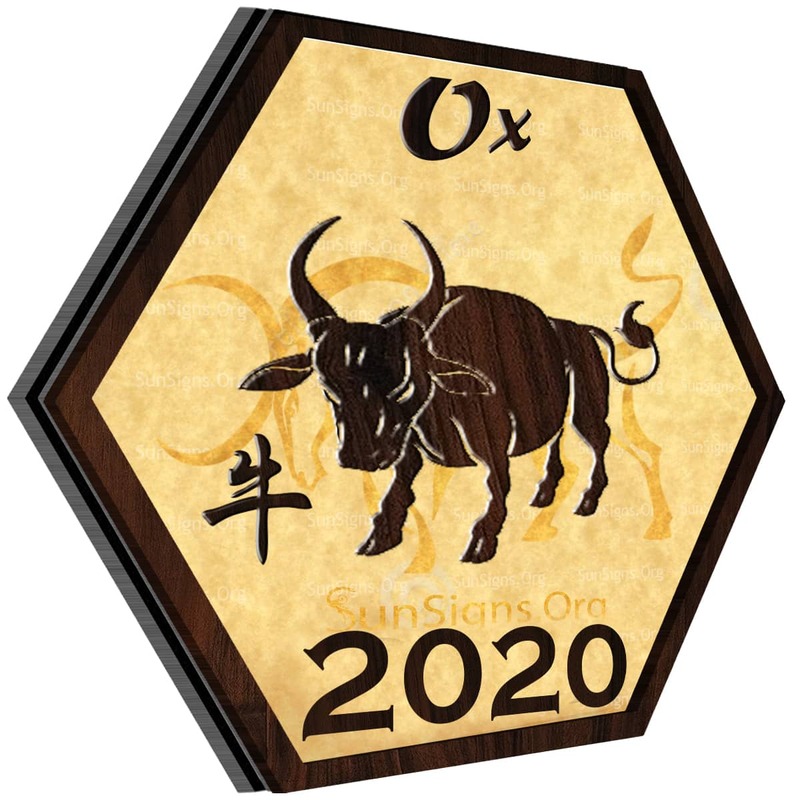 Home » Chinese Horoscopes 2020 » Ox Horoscope 2020 – Free Astrology Predictions! Ox Horoscope 2020 – Free Astrology Predictions! Ox horoscope 2020 says that if you didn’t like your past, then this is the year to change your present to make the future better for yourself and the people around you. The past may have been difficult. But if you work hard, like we know oxen can, then you should have no problem turning your life around. The more effort that you put into this change, the faster it is likely to happen in this Chinese Year of the White Metal Rat. The ox is the second sign in the Chinese zodiac. People who are born in the year of the ox are said to have many ox-like personality traits. These people tend to be determined in everything that they do, hardworking, and serious. At times, they can be stubborn and a bit of a loner, but when they find the right friend or partner they can be great to be around. Overall, Chinese oxen are dependable and will never quit on something or someone who they believe in. As you can see, the ox has many good traits, just like the people who are born in the year of the ox. These traits work well to shape the year, and horoscope, of people born under the year of the ox in 2020. Is Ox lucky in 2020? This is an up-and-down, make-or-break, kind of year when it comes to love, romance, and social interactions in general. If mapped out in a line, your social life would look much like a row of hills this year. You may feel more expressive this year, or you may want to know more about your partner this year. No matter what you are feeling, you are sure to want some change. Or, your partner will want some change. This could cause things to get better in your relationship, or worse in this year of the rat. If you are in a relationship that is bad most of the time, friendly or romantic, then 2020 is a good year to dump them. This is one way to get rid of the past’s bad effects on your present. You will want to have a balance in your social life. If you are single, then you are likely to want to get into a passionate relationship. If you are in a relationship, then you are more likely to search for new friends. Will the ox get pregnant in 2020? Do whatever feels right to you, but try to go with the flow. This year is full of social changes, and you might as well go with them. Ox 2020 predictions forecast that your work-life should be relatively calm this year. Projects will come and go, but the pace of things should be pretty stable. There will be a sense that changes are near, which could be true. Try to find out whatever you can about the future of your career. Talking to coworkers and superiors is a great way to find out what is going on at your workplace. Some challenges will come your way, but it’s nothing that you won’t be able to handle. Work with your natural skills, and you will shine in your career in 2020. Is year of the ox lucky in 2020? You should work on organizing your financial life in the first four months of the year. By doing this, you will make the rest of your year a lot easier for yourself. Be logical with your purchases. Do not spend an extra cent on yourself until you can pay all of your bills and debts off. Do not be distracted by flashy sales, pay for the necessities and save the rest in this Chinese New year 2020. The 2020 Chinese horoscope predicts that the ox will feel like they have more energy this year. You will not need to worry about your health much this year. Instead, you should focus on your mental health. Still, try to exercise (but don’t push yourself), eat well, and get enough sleep. You need to recharge your batteries if you want to do well in 2020. January 2020 will come with its share of happiness and problems. February 2020 will be an excellent month for money coming from unexpected sources. March 2020 will be full of fun and pleasure. Do not get carried away. April 2020 will bring its share of new opportunities and expectations. May 2020 is the right time to start saving for the future. June 2020 is a period when you need to start working with your colleagues if you wish to succeed in life. July 2020 is the perfect month in terms of personal and professional relationships for the Chinese Ox. August 2020 is when your plans will start taking shape. September 2020 will be a period of unexpected happenings. October 2020 is a month when you have to be strong and not get upset by problems that might fall upon you. November 2020 is a favorable month for finances, career, and happiness. December 2020 is a good month to go along with the flow. Feng Shui 2020 forecasts for Ox suggest that this a good year for education and career prospects. You need to take care of your health. Much of this year is about cleaning up the messes that you or that others have done to you, in the past. This will help to make it a lot easier to focus on everything that is going on in the present. Ox horoscope 2020 predicts that many changes will come your way. Make sure that you are healthy and energized enough to keep up with them! Don’t forget to prepare for the future as well. All of these things are important if you want to have a great year in 2020! Previous Rat Horoscope 2020 – Free Astrology Predictions! Next Tiger Horoscope 2020 – Free Astrology Predictions!